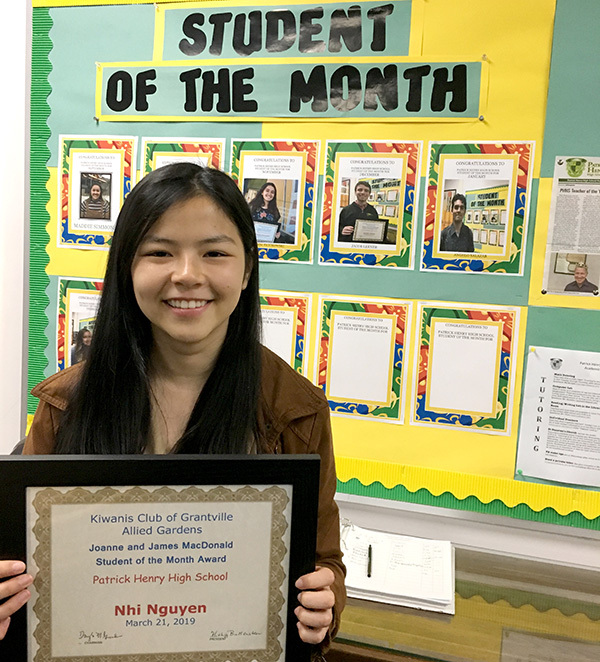 Nhi Nguyen was selected as our Kiwani’s student of the month for March for many amazing reasons and was honored by attending the breakfast with our vice principal, Jennifer Pacofsky. Teachers describe Nguyen as being a class act. She is brilliantly smart, but is very humble and treats others around her with respect and kindness. She’s incredibly talented with her writing and a great artist. She’s very well spoken, thoughtful, and would help anyone in need. Nguyen has made the last two videos for our school’s Henry Hoopla and they have been artistically pleasing and motivating to both students and teachers. Her professionally edited videos have reinforced our messages of the power of identity, growth, grit, collaboration, and inspiration. In this process, she has dedicated countless hours of hard work, has collaborated intelligently with staff and students, and has created a lasting and powerful impact on the student body at Henry. Nguyen has been accepted to both UCSD and UC Berkley for the fall. Both of them will be lucky to have her and we can’t wait to see how she impacts the world. trusted tablets San Diego Opera debuts in PHAME! “Three Decembers” was the latest in San Diego Opera’s popular detour series of nontraditional operas offered in new venues across the city. After close to a year of planning, Patrick Henry High School was selected to host an opera and it proved to be up to the challenge both acoustically and aesthetically for everyone who was involved. PHHS instrumental chairperson and teacher Matthew Kalal was thrilled to form this partnership as he saw it as a win-win for both the school and San Diego. Students had a unique learning opportunity to see the behind-the-scenes set-up for a professional opera as they shadowed various members of the cast, production crew, and watched the musicians involved as well. 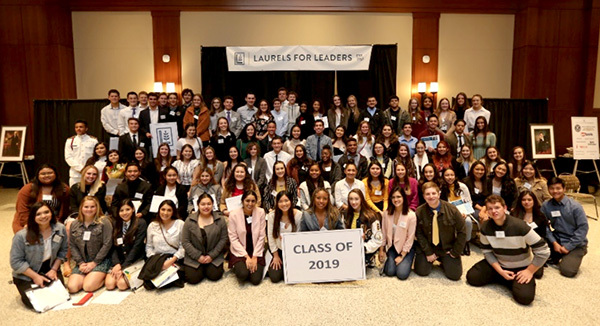 Patrick Henry High School ASB leader Chris Stagner, ASB advisor Autom Ross and Principal Elizabeth Gillingham attended the Laurels for Leaders luncheon in March. Washington-Lincoln Laurels for Leaders was established in 1957 as a way of honoring and recognizing the achievements of ASB presidents of San Diego County high schools. Laurels founder Dr. Frank Lowe, then-president of the San Diego Unified School District, believed that such recognition would encourage a lifelong commitment to service among the student leaders. PHHS’s ASB leader Chris Stagner attended this luncheon held at San Diego State University last month with his ASB advisor Autumn Ross and Principal Listy Gillingham. 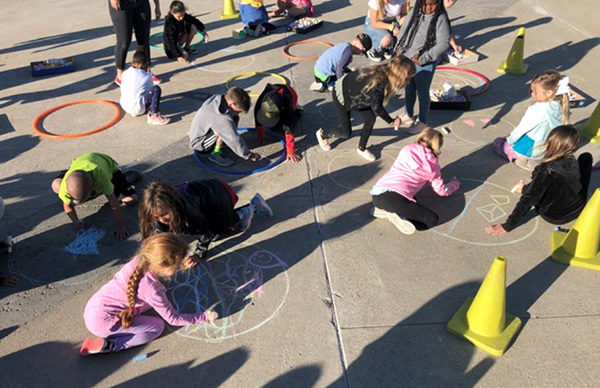 PHHS teacher Karen Thomas and several of her AP art history students accepted a special invitation last month from Green Elementary Principal Sandy McClure to help inspire the elementary students with how to create art chalk drawings. Green Elementary students do art with Patrick Henry studnet volunteers. Henry students volunteered on a Sunday by spending a day to recreate some samples for the students to view and then broke into teams the next day to work with various student groups sharing their knowledge and passion of art history. The students started with an explanation and walk to view the chalk art done by the Henry students, which included a few historical paintings such as “The Scream” by Edvard Munch. Afterward, the students all got their individual circles to use to create their original chalk paintings. It was a great month for our engineering students who participated in the NEF Design Drafting Competition. The CAD/design/drafting competition is a contest designed for senior high school- and college-level students. The contest provides recognition to students for creative design, successful problem solving and craftsmanship in preparing architectural drawings. Entries were evaluated for detail, accuracy and originality of work. Objectives of the contest were to introduce students to the construction industry in a positive and challenging manner, while fostering a sense of self-worth and building confidence. Each local sponsor is furnished with a design problem that is designed by a licensed architect or engineer and is generic enough to meet the needs of all areas of the United States and our international affiliates. Project drawings must include a minimum of: a floor plan, exterior elevation, site plan and placement of structure. This year, the students submitted architectural plans for a commercial building of their own design and competed against both high school seniors and college students. PHHS swept the awards, winning first, second and third place! They will receive monetary prizes as well as being advanced to the regional competition. Did you know the inventor of the Rubik’s Cube, Erno Rubik, took one month to solve the puzzle before introducing this puzzle to the world? Today, the Guinness World Record is held by Feliks Zemdegs, who completed the fete in just 4.22 seconds! This craze, which began in the late ’70s, is still going strong and was a featured event at the annual Cal State San Marcos Super STEM Saturday event sponsored by Viasat for students of all ages. 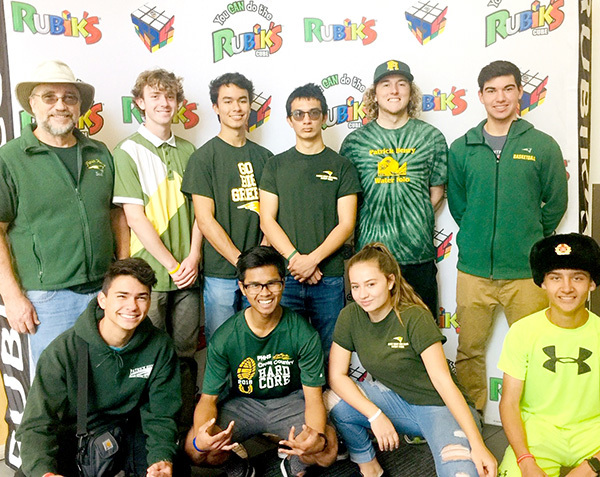 PHHS math teacher Thomas Knapik decided to take his club on the road to complete with other schools for the first time last month. At the Super STEM Saturday event, there were opportunities to explore interactive demonstrations, hands-on science activities, including rocket launches, build-a-robot stations, model displays, scientist chats, and an obstacle course. The event was free and open to the public. The Rubik’s Cube competition was just one of the highlights of the event, where elementary, middle, and high schools had an opportunity to compete for the fastest times eight players could solve 25 cubes. Patrick Henry’s time for solving 25 cubes by eight students was 3:35 minutes, which put them in fourth place. They were edged out of the top three spots by Hemet High School (1:47 minutes), Classical Academy (1:50 minutes), and Del Norte High (2:42 minutes). To prepare for the match, the students attended a staff meeting where they were put on stage in front of their teachers and given 25 cubes to solve prior to a meeting. It was impressive to see how quickly the students could spin each cube demonstrating their talents and quick agility to move the tiles from one place to the next and solve the puzzle under pressure. Go Patriots! Pershing Middle School delighted audiences in March with their rendition of Roald Dahl’s “Willy Wonka Junior” musical production. Based on the book “Charlie and the Chocolate Factory,” this adapted play was produced and directed by Principal Susan Levy. How a principal has time to step out of one role and take charge of over 50 students from her eighth-grade class is amazing! Levy reported they had the tryouts last October and had been working after school ever since to prepare for the play. Thanks to a wonderful support crew of parents and staff, they put together a production that was truly magnificent and something to be proud of. — Elizabeth Gillingham is principal of Patrick Henry High School.